Horse Farm – The Sweetest Horse Game – Play Now! Let yourself be enchanted by this very special horse game. Establish the dude ranch of your dreams in Horse Farm and attract as many visitors as possible. Use creative customization options to make your buildings, fences, windows and more. Get beautiful horses for your ranch and ensure the best possible care for them. Entertain and provide for your guests – pamper them with tasty treats and build cozy lodges for them. Horse Farm will whisk you away to a dreamy countryside setting. 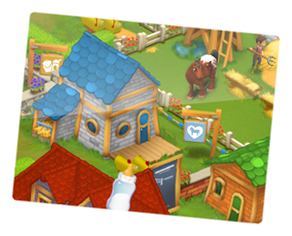 Lovingly designed with cartoon graphics, Horse Farm provides no end of extraordinary experiences. Stock your ranch with a wide array of horses and ponies. Experience the unique online game for free from the comfort of your PC. Play now! The visitors just can't get enough of the foals – look at them prancing across the fields! Thrust into the role of a stable manager in this entertaining horse game, you're responsible for expanding the ranch, building lodgings for your guests and managing day to day responsibilities in Horse Farm. You can get a wide array of horses for your farm – from Hannoverians and Arabians over Appaloosas and Quarter Horses to Shteland Ponies. Best of all, you can even breed them for cute Horse Farm foals. Discover a wonderful game that is guaranteed to mesmerize not just horse lovers alone. A fascinating mix of tycoon and strategy game awaits – give it a try today! All you need is a PC and a working internet connection, and you can begin your free online experience! Dive into the extraordinary world of horses. 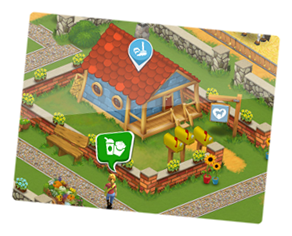 Complete exciting quests and use your business acumen to make the right choices to get your Horse Farm ahead. Leave the competition behind by building stables and amenities, planning your guests' stay, increasing your profits and investing them wisely. Horse Farm is a horse game that's sure to enchant you. Register for free at upjers.com. 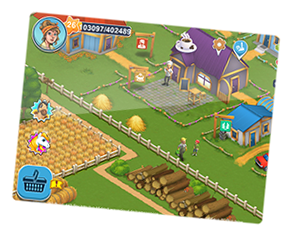 Previously, Horse Farm had only been available as an app – now you can play this delightful equestrian simulation on your PC. Explore the possibilities – and each level up will add more items and customization options. Look forward to regular updates and events. 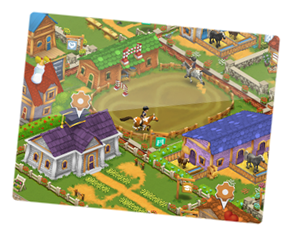 Check it out now and visit your Horse Farm!